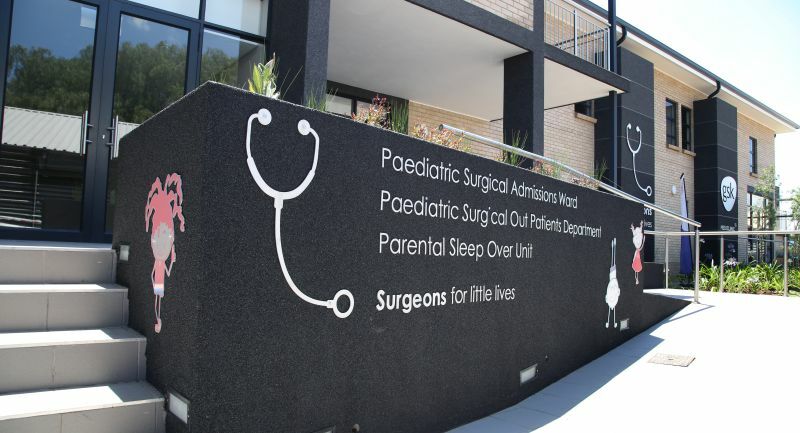 The Paediatric Surgical Out Patient Department is where we consult with all new, non-urgent referrals, and plan their care going forward. 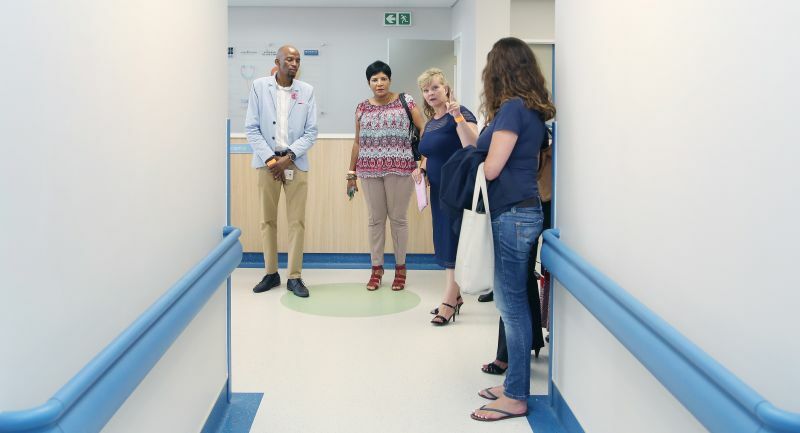 We also follow up with all patients after discharge as necessary – this may be for years to come. 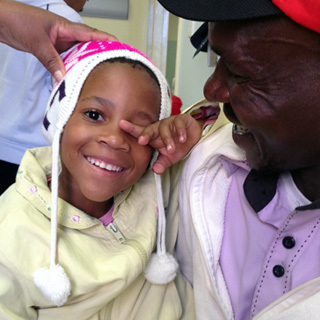 We currently see more than 1500 patients a month in the clinic. 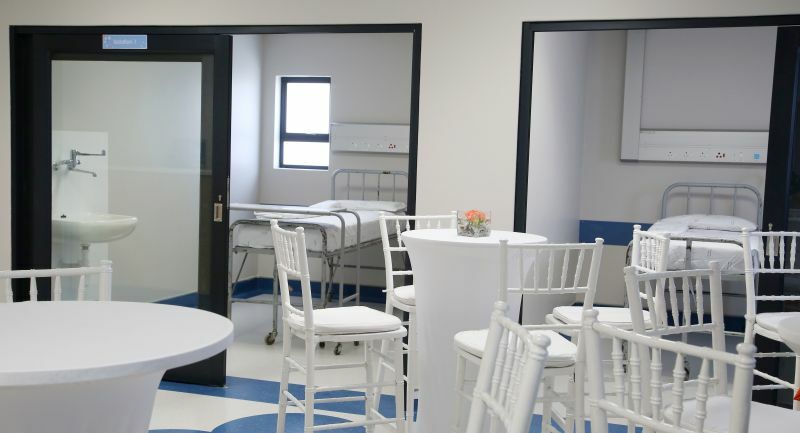 The clinic is currently housed in a small, 2-roomed, prefab building. 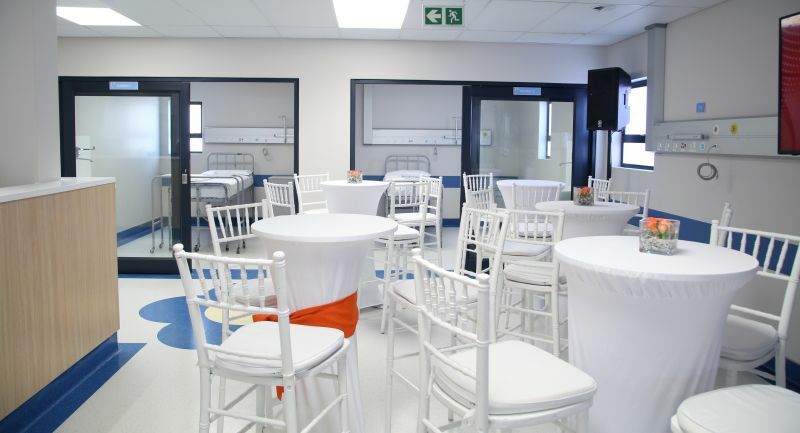 One room is a waiting area for up to 80 patients and their caregivers. 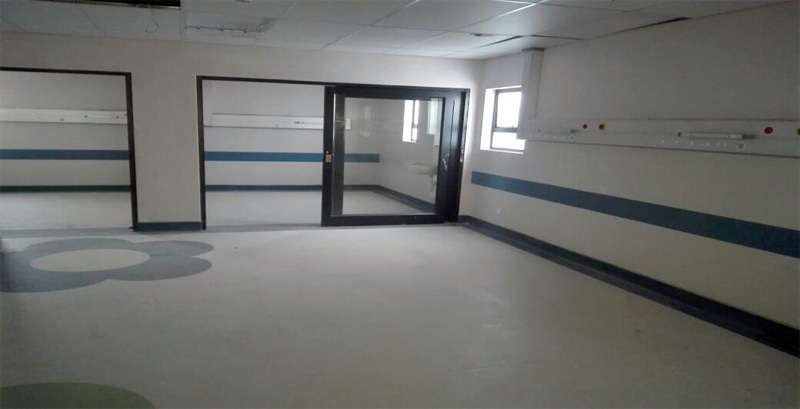 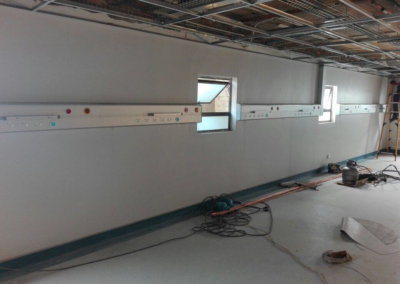 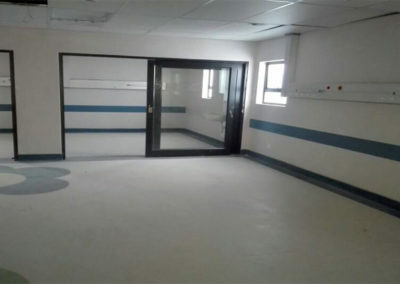 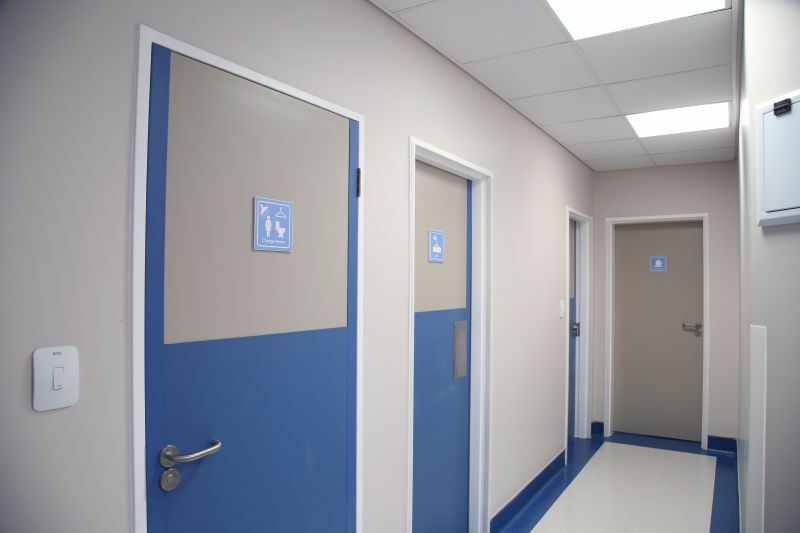 The other room is a single consulting room where up to 8 doctors consult at a time – together with any students and nursing staff that are needed. 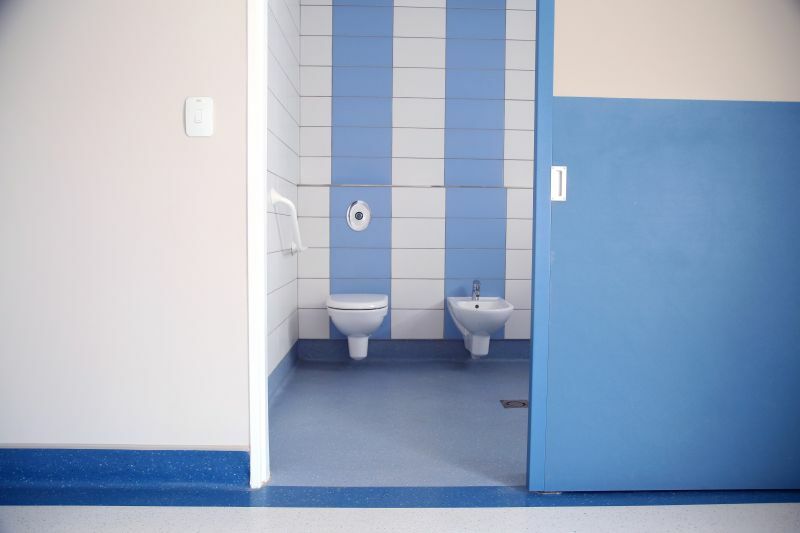 There is obviously very little space and absolutely no privacy for patients. 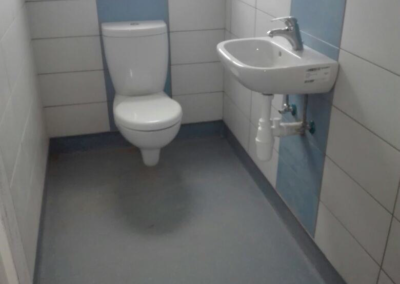 There are also no ablution facilities. 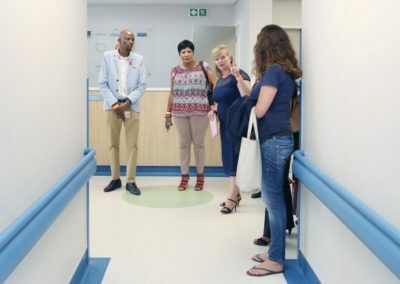 This situation is obviously completely unacceptable, and infringes on the basic rights of these patients and their families. 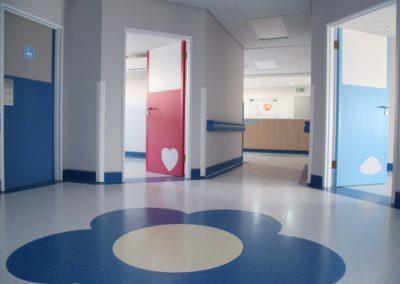 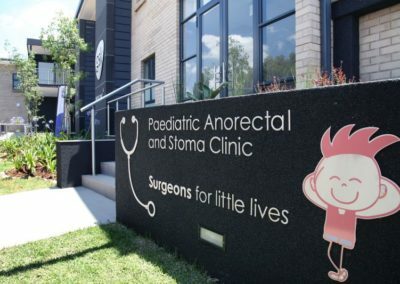 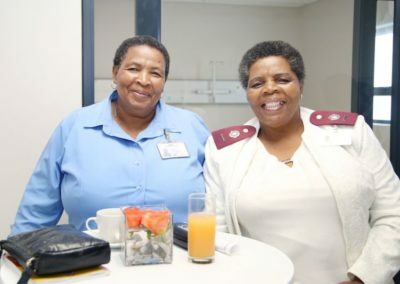 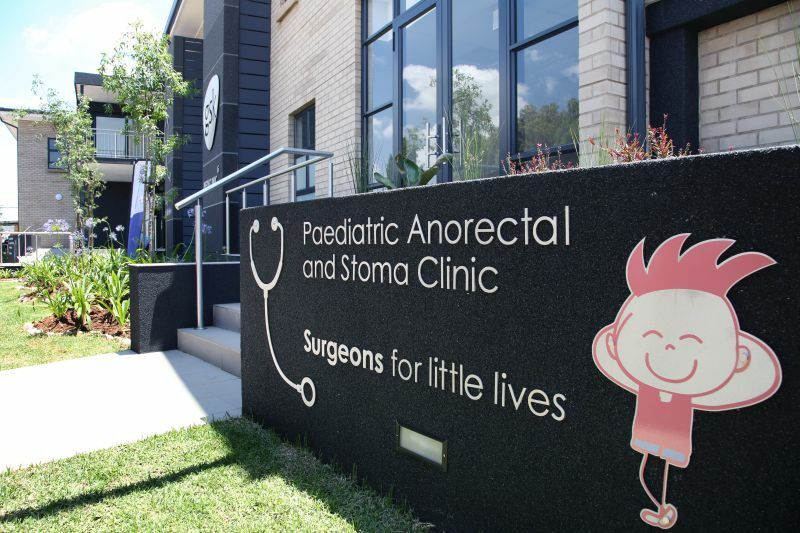 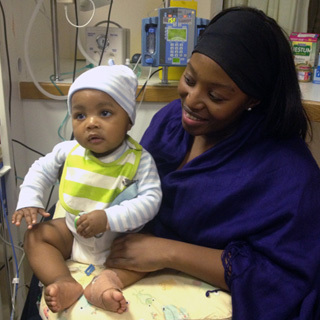 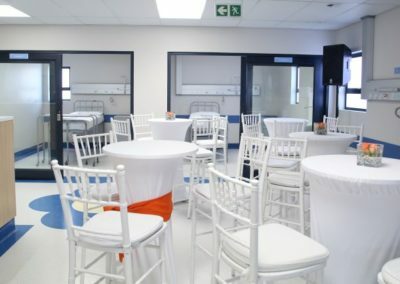 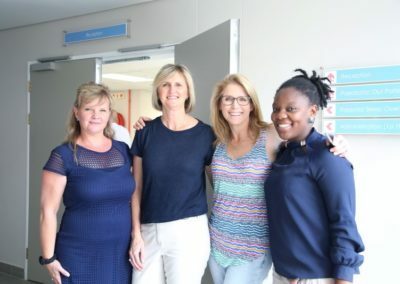 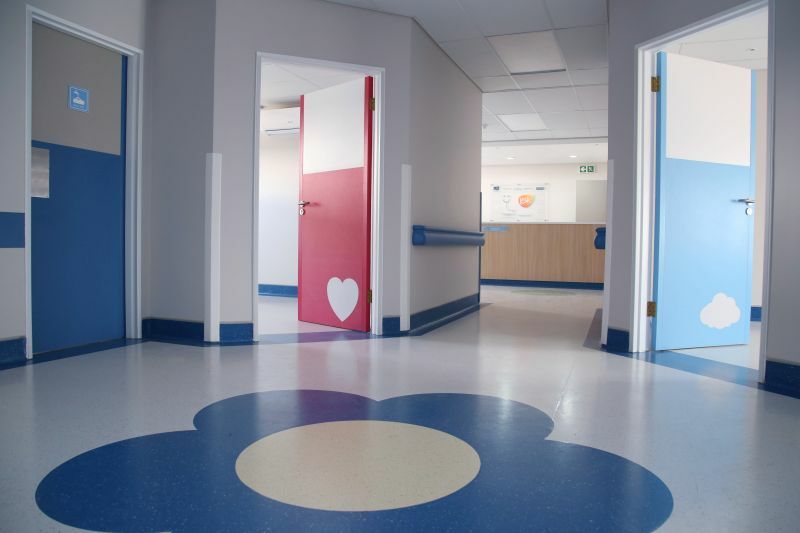 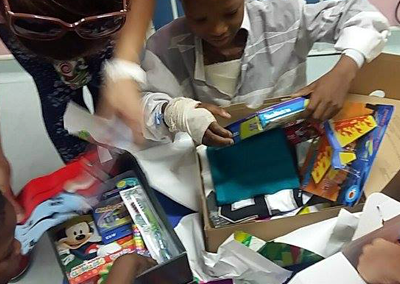 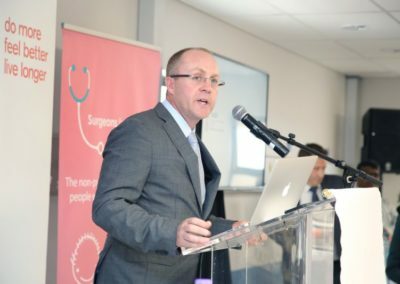 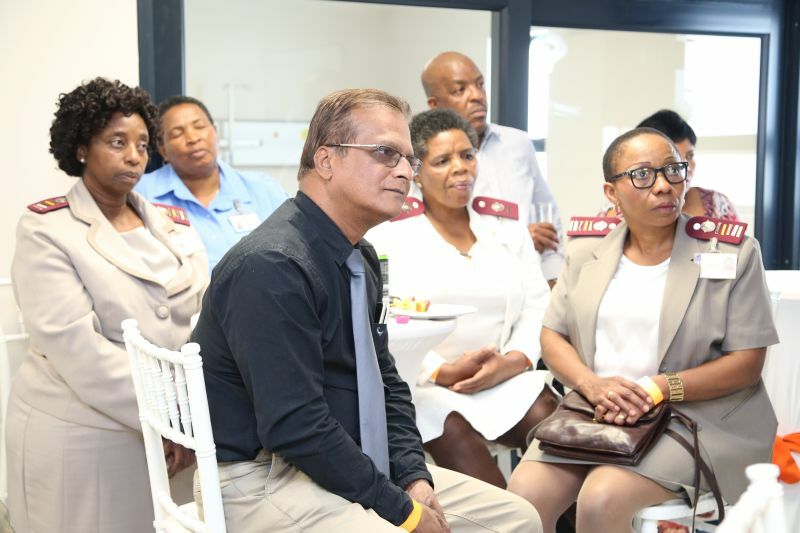 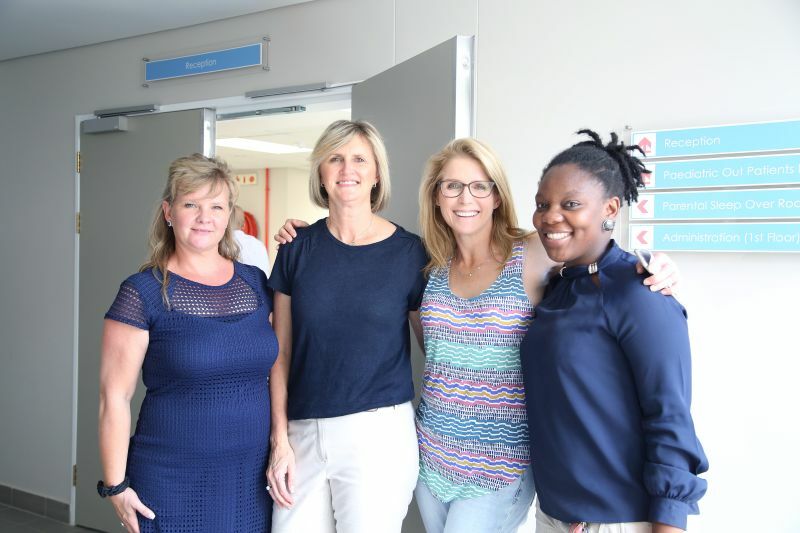 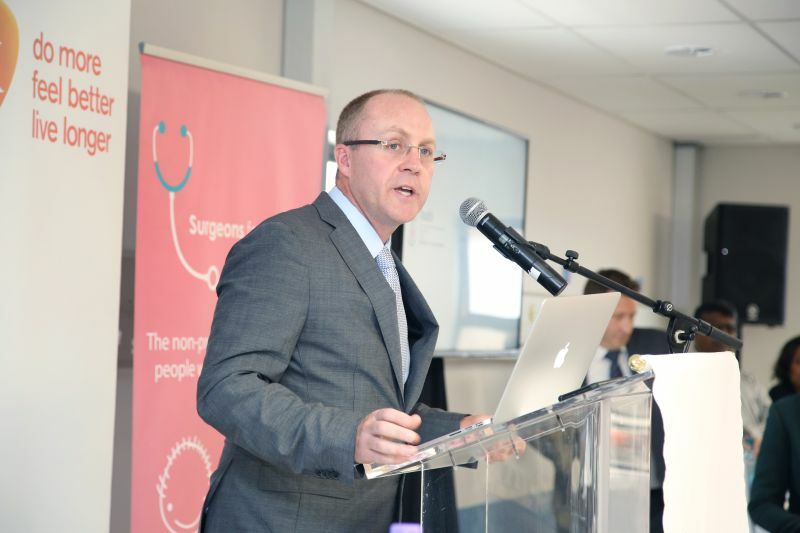 The Paediatric Surgical Ward at Chris Hani Baragwanath Academic Hospital caters for infants and children, up to the age of 10 years old, who have Paediatric Surgical conditions. 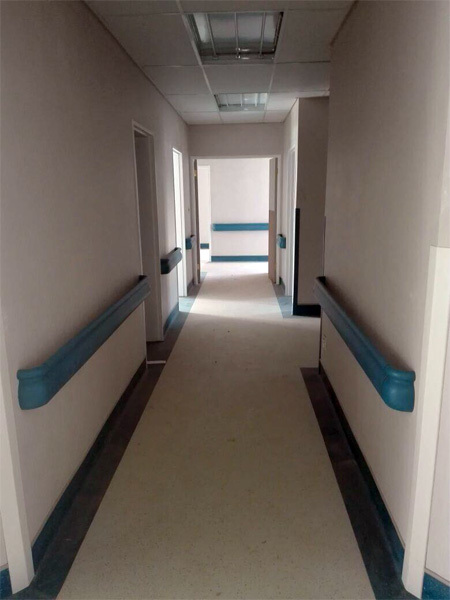 Currently patients admitted to the ward have to remain on their own. 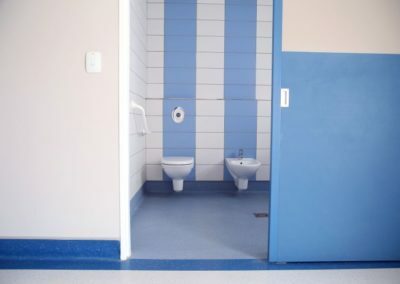 Parents cannot stay with them. 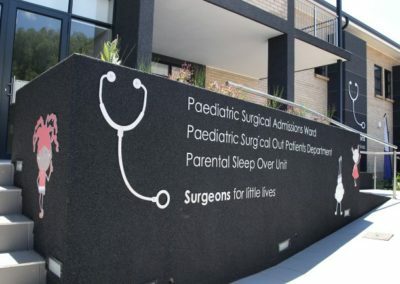 While some parents live close enough to visit their children, many parents live far away from the hospital and can only visit their children over the weekends, if at all. 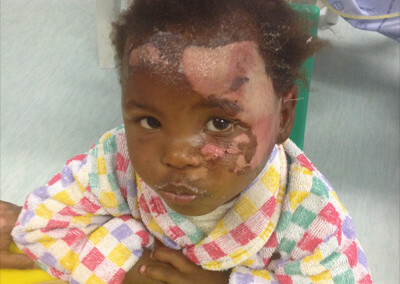 Child anxiety and concerns of abandonment. 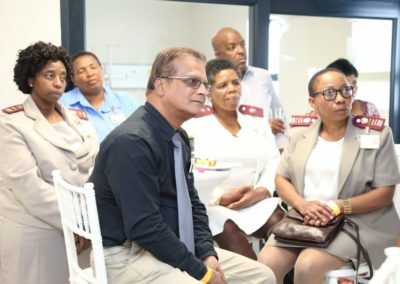 Parental anxiety about the welfare of their child. 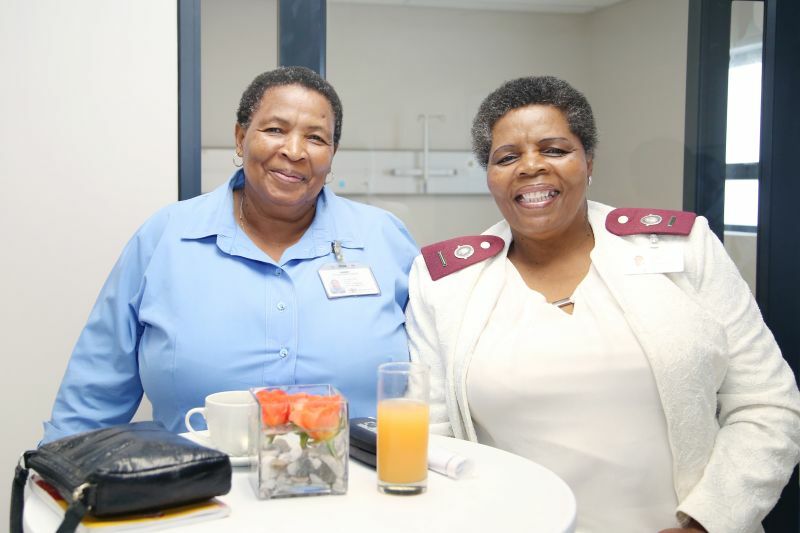 Increasing the day-to-day work load of nursing staff who need to add motherly duties to their already over loaded professional work duties. 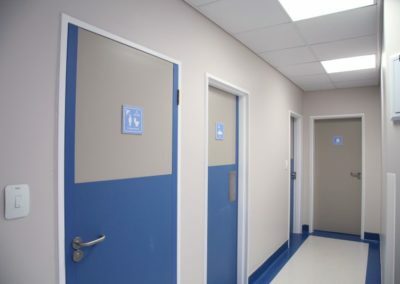 We would like to build an Out Patient Clinic, with individual cubicles, where doctors can consult with patients while ensuring their privacy and dignity. 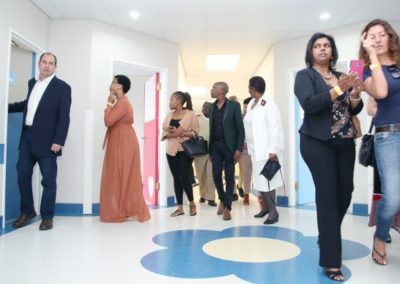 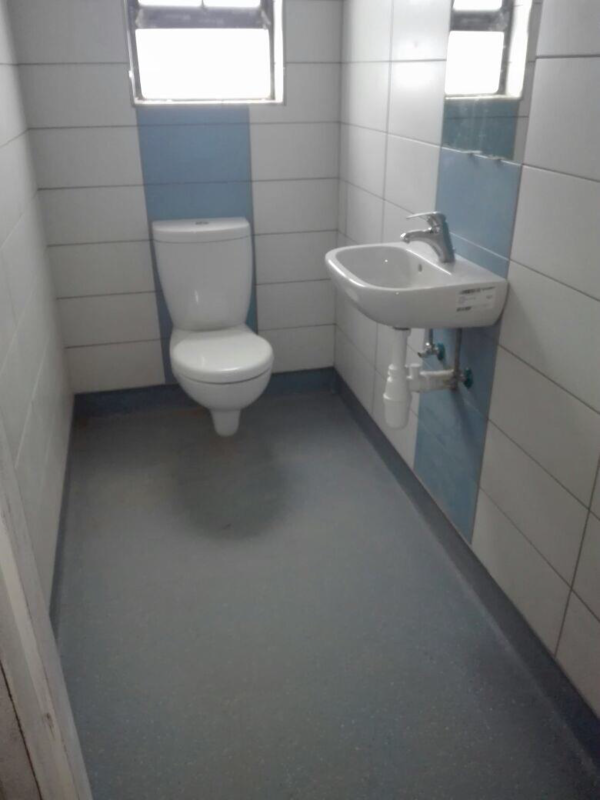 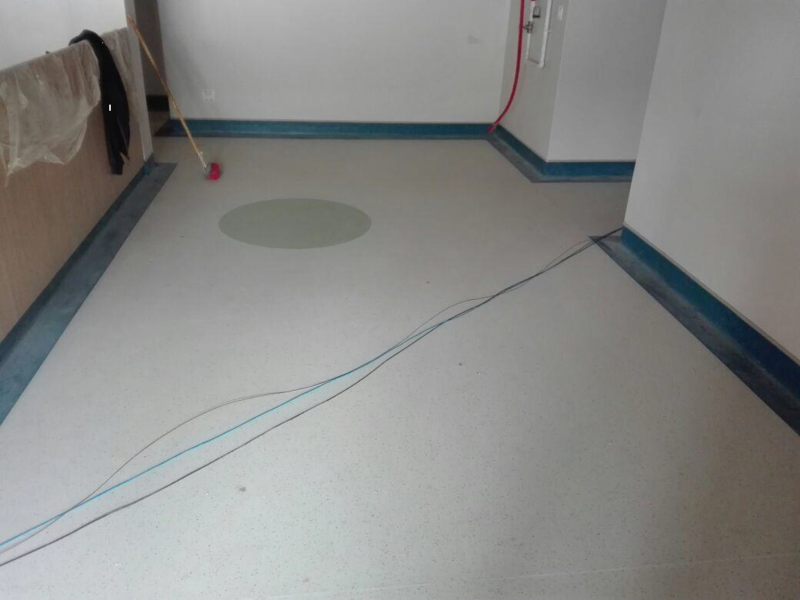 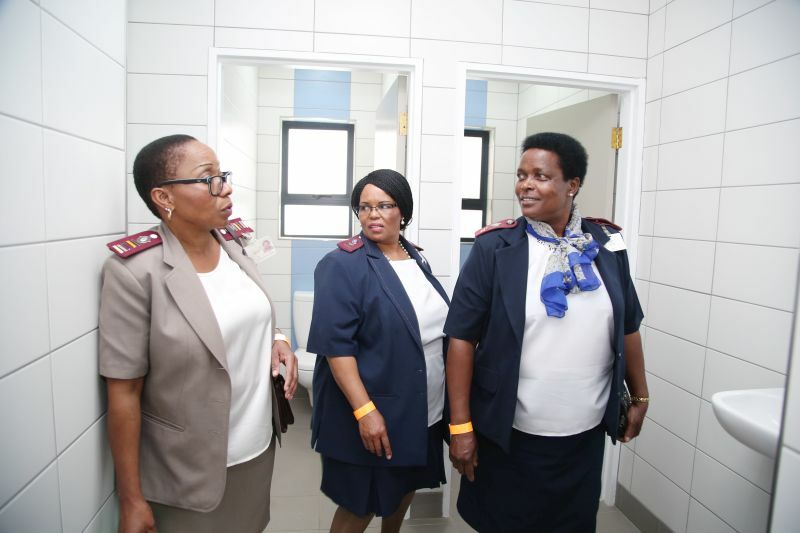 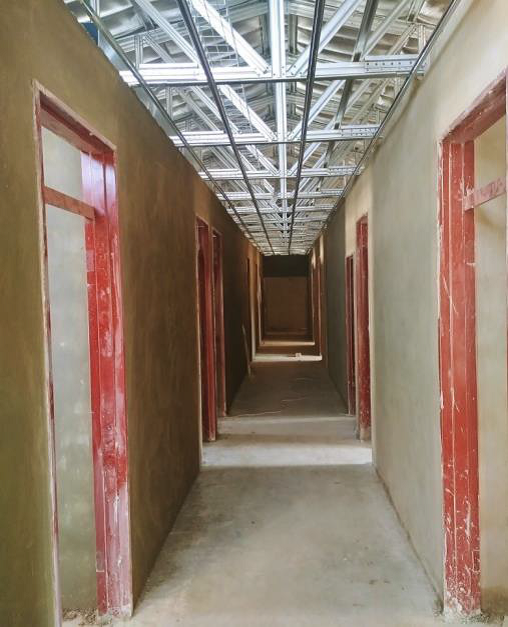 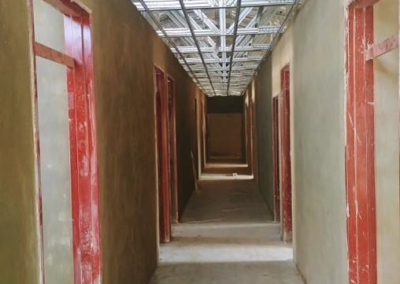 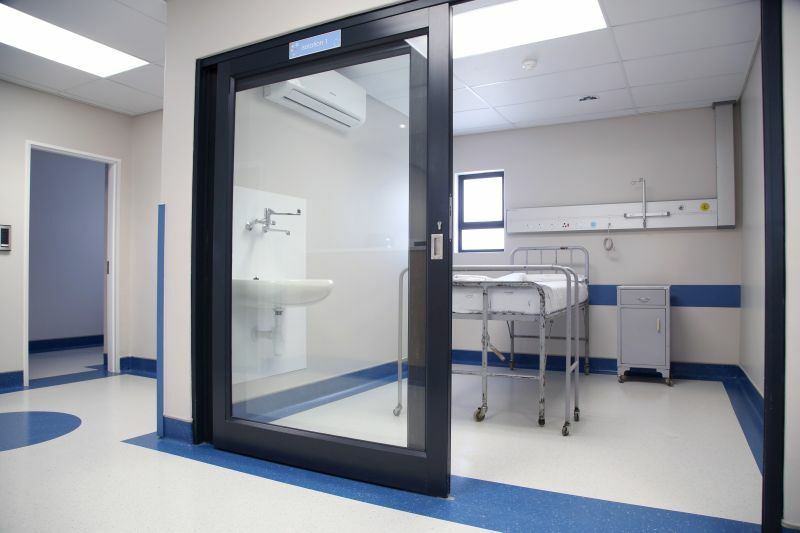 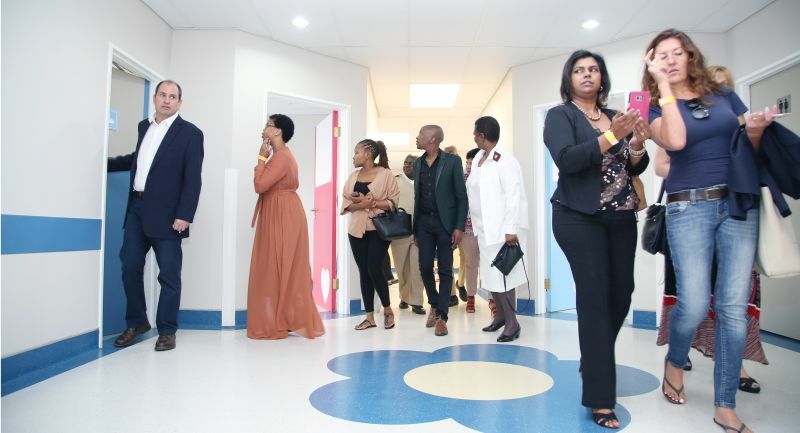 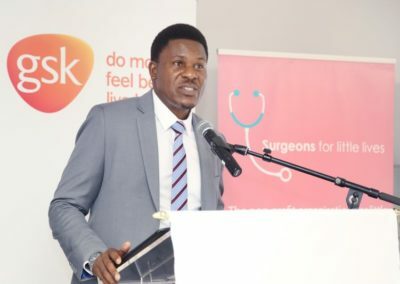 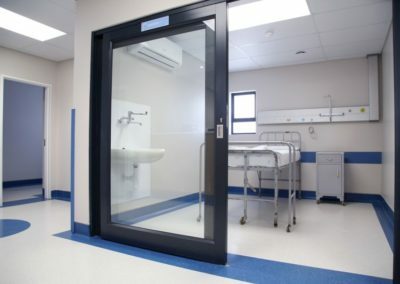 It will include a waiting room that is large enough to adequately accommodate patients and their caregivers and which has appropriate ablution facilities. 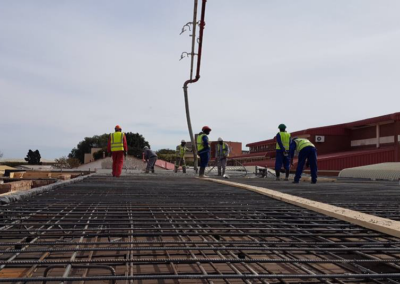 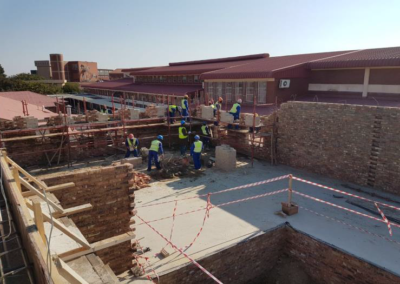 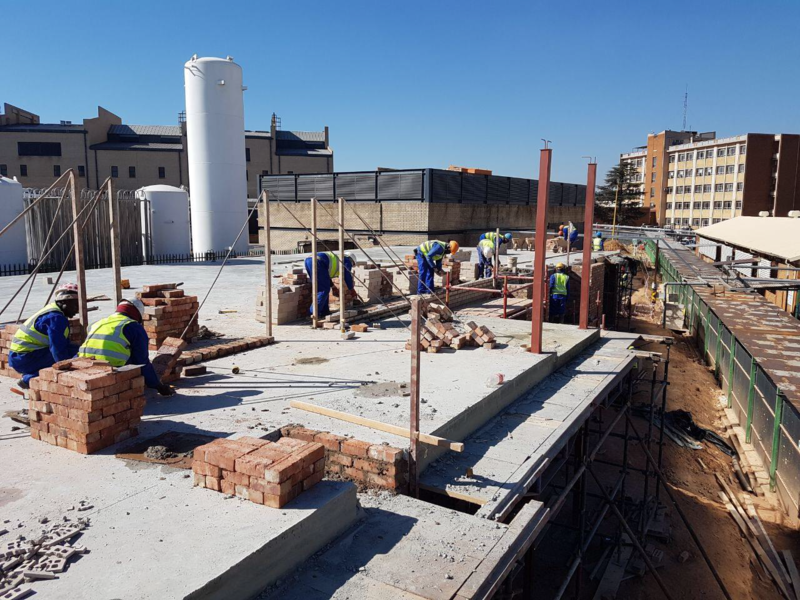 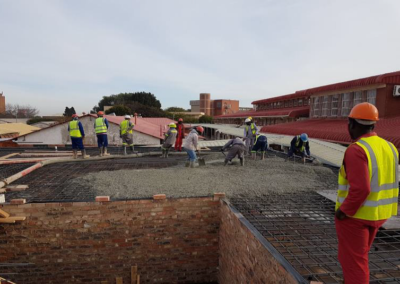 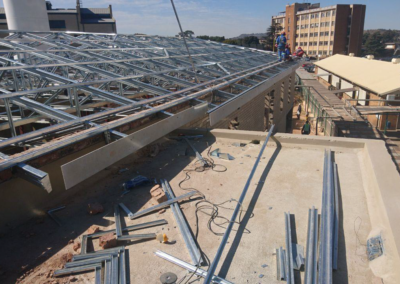 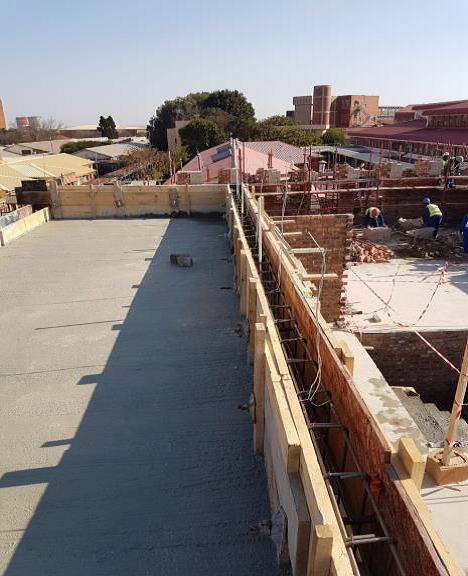 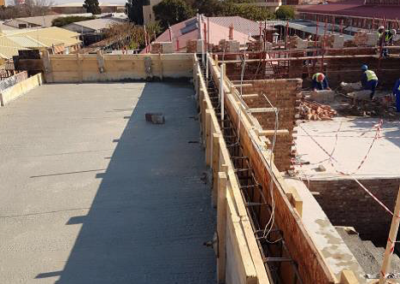 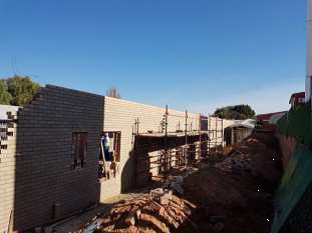 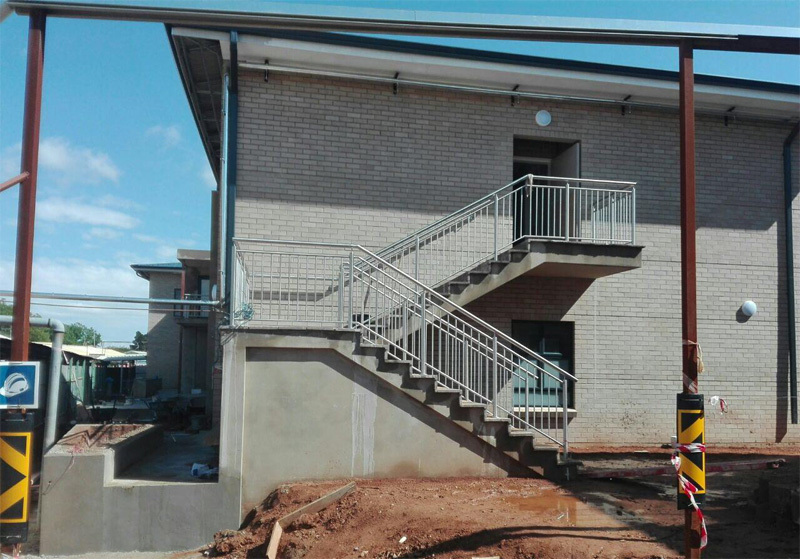 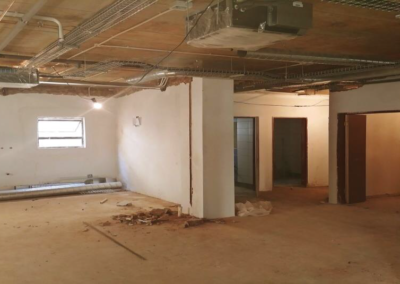 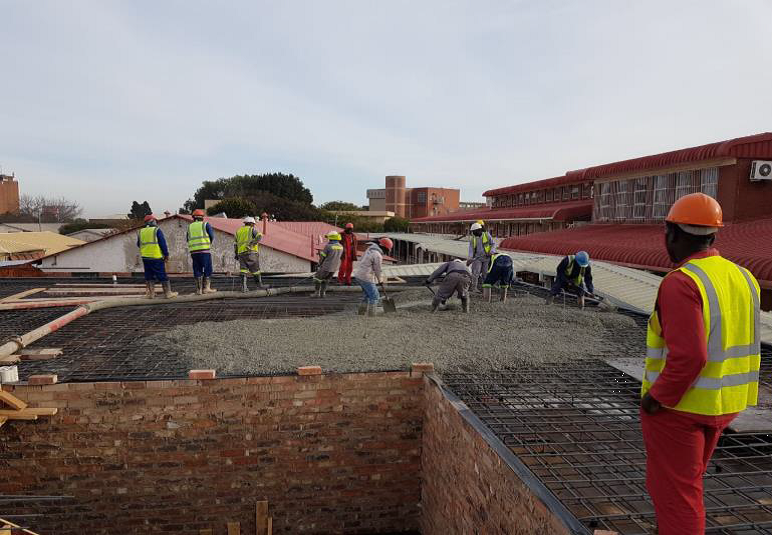 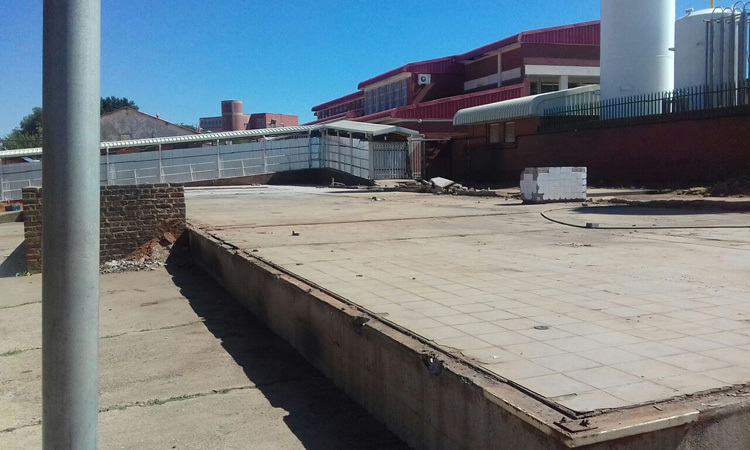 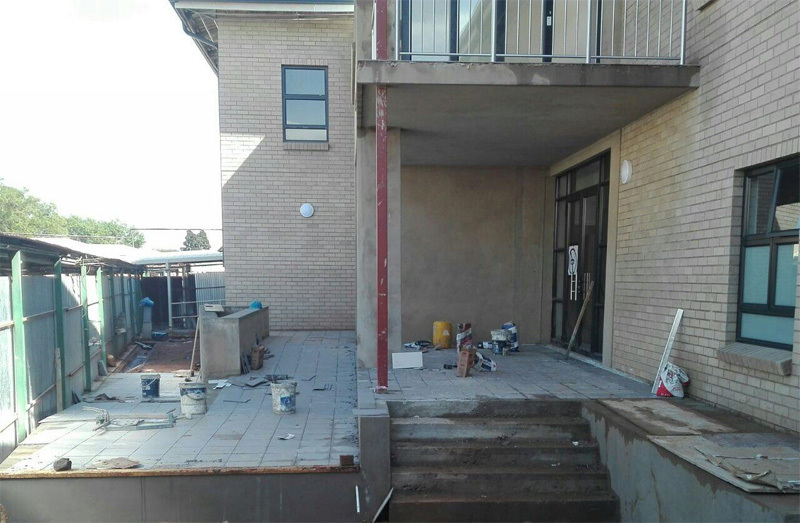 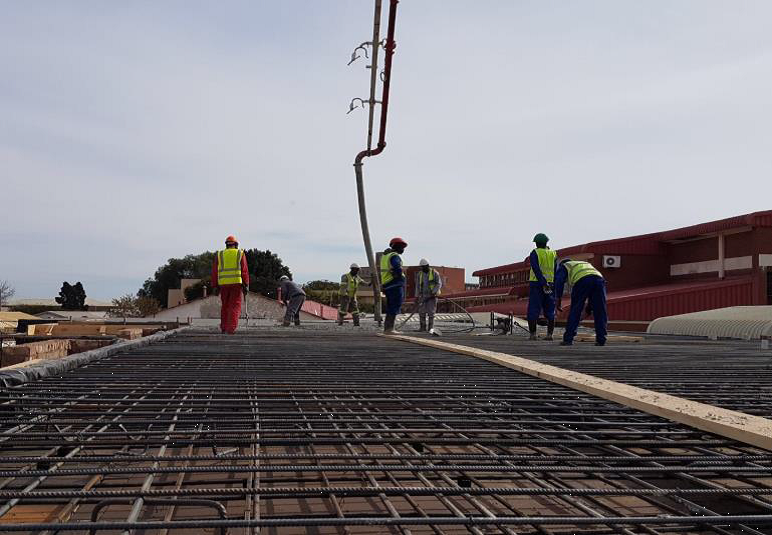 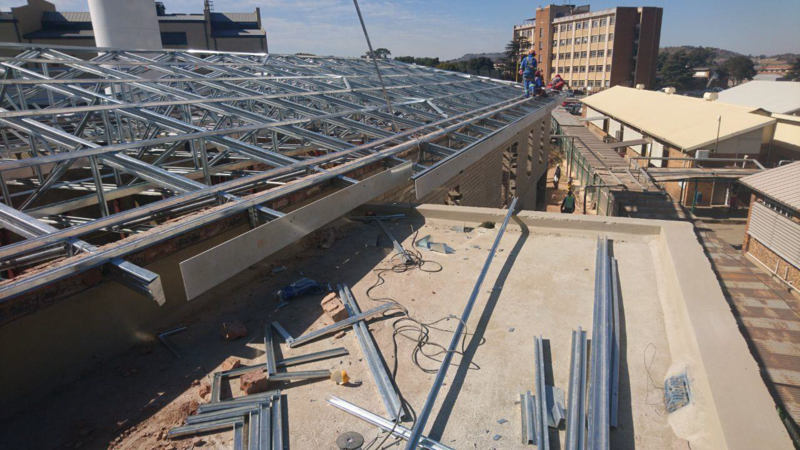 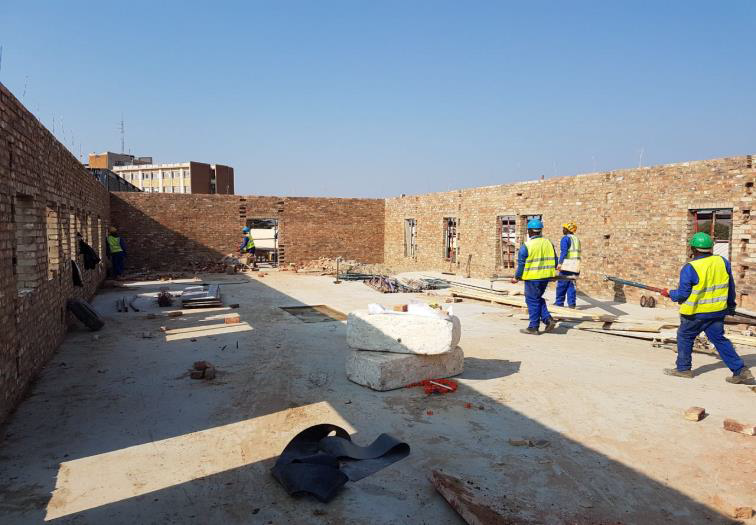 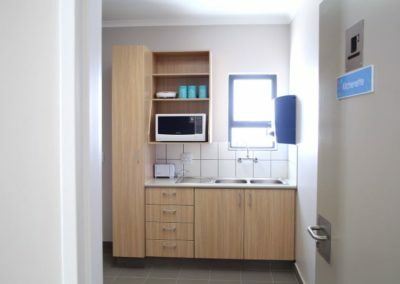 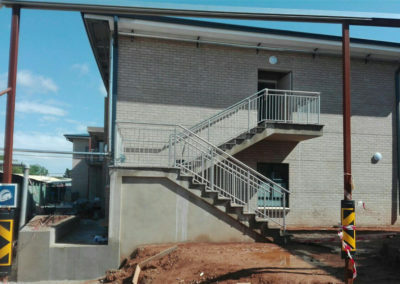 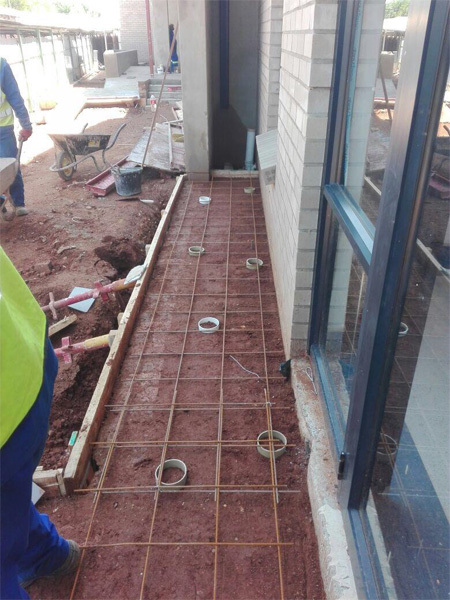 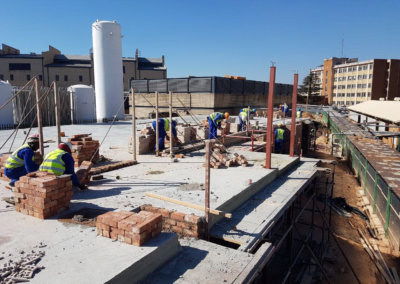 Above the clinic we would like to build an accommodation facility that would enable parents to live-in at Baragwanath Hospital for the duration of their child’s admission. 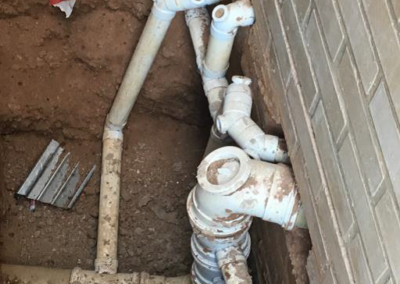 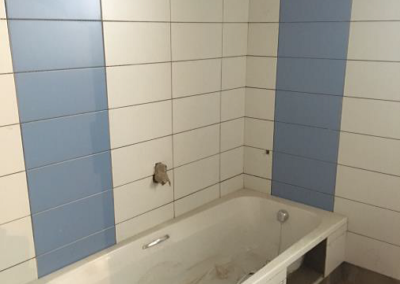 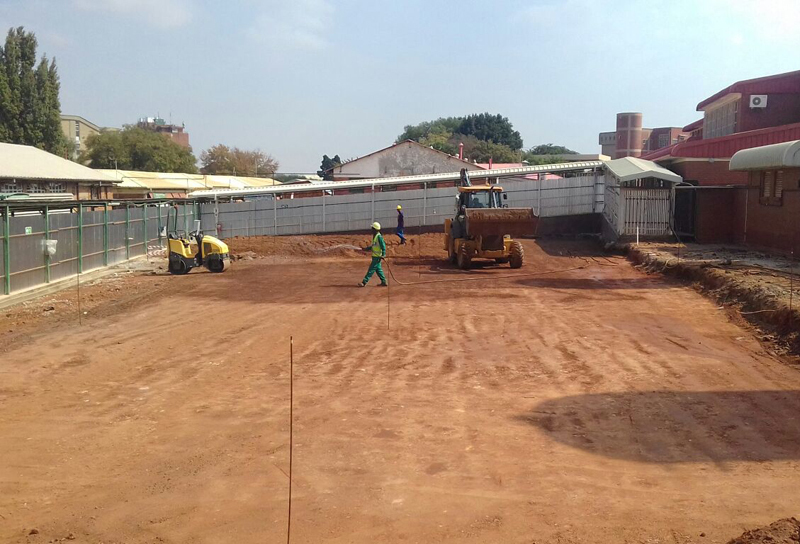 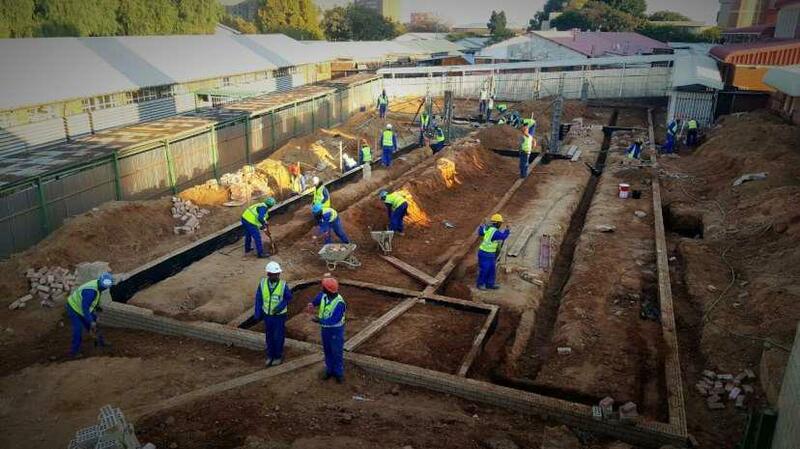 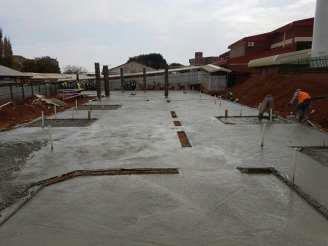 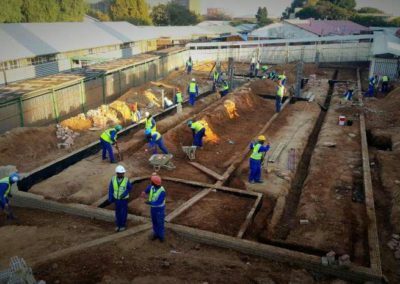 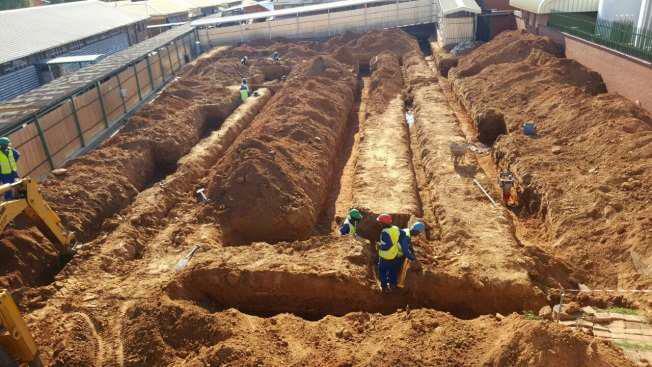 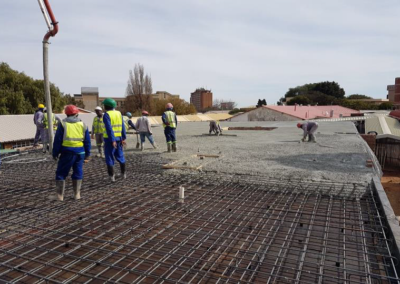 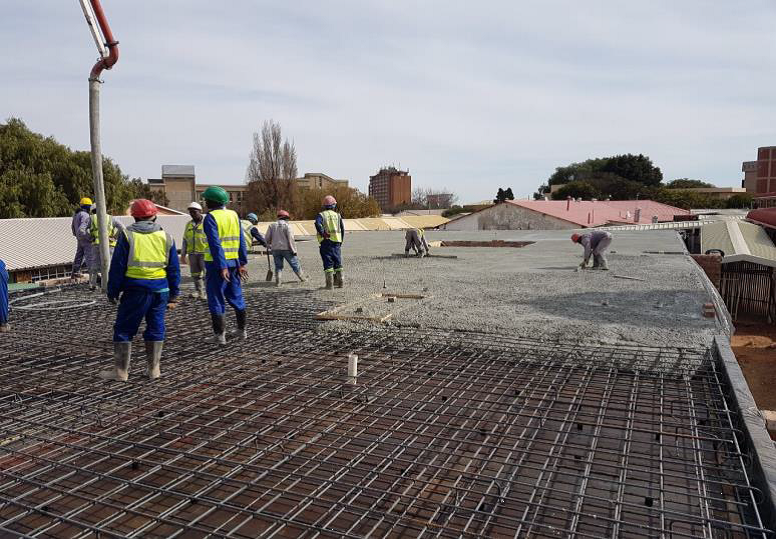 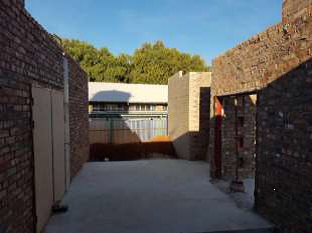 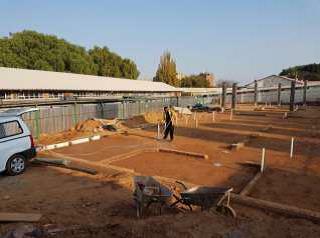 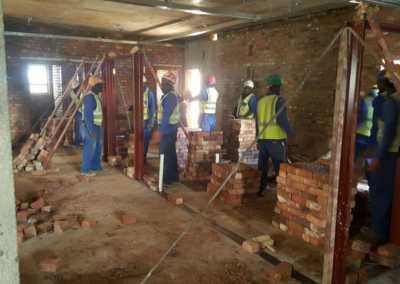 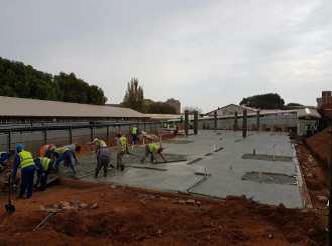 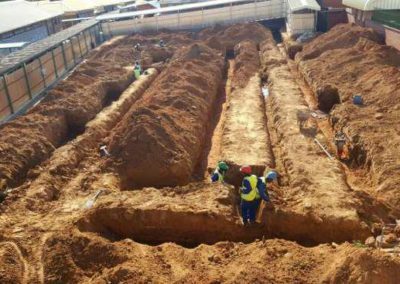 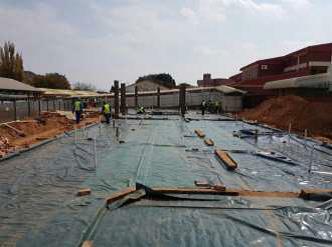 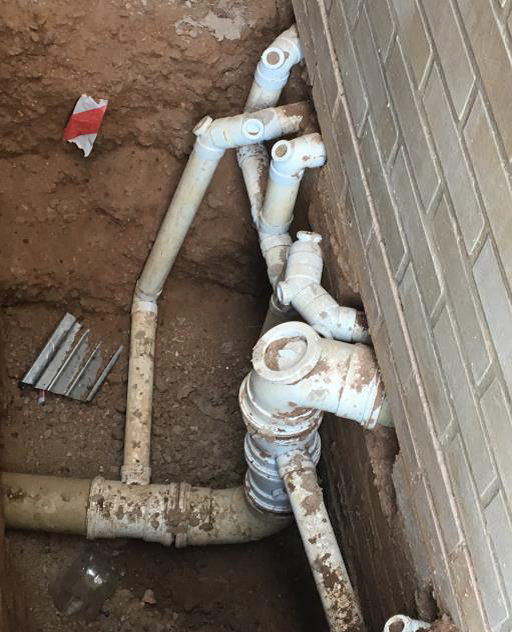 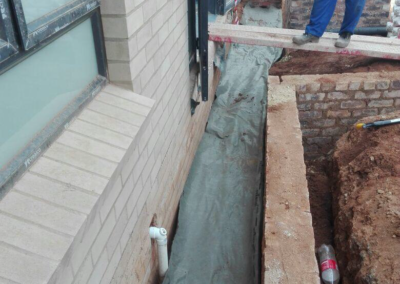 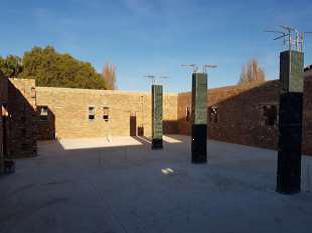 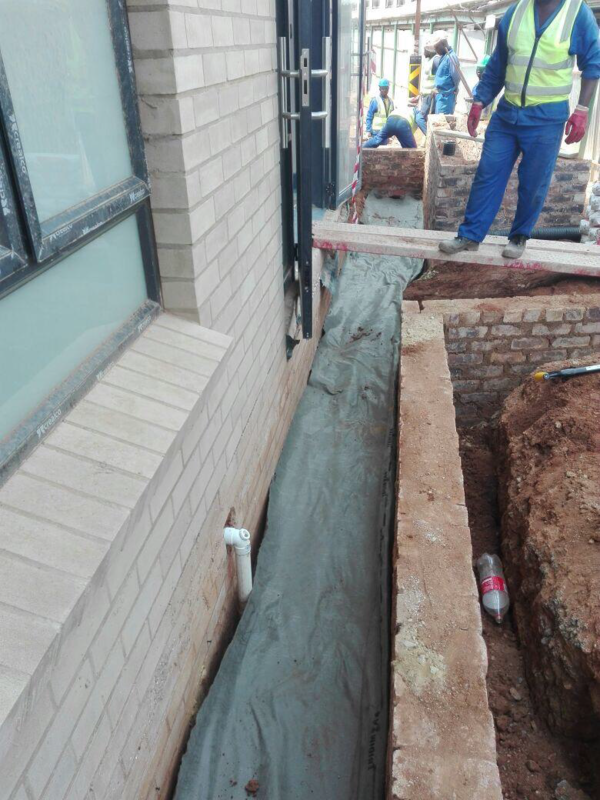 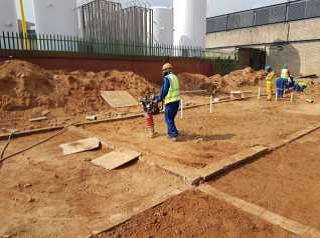 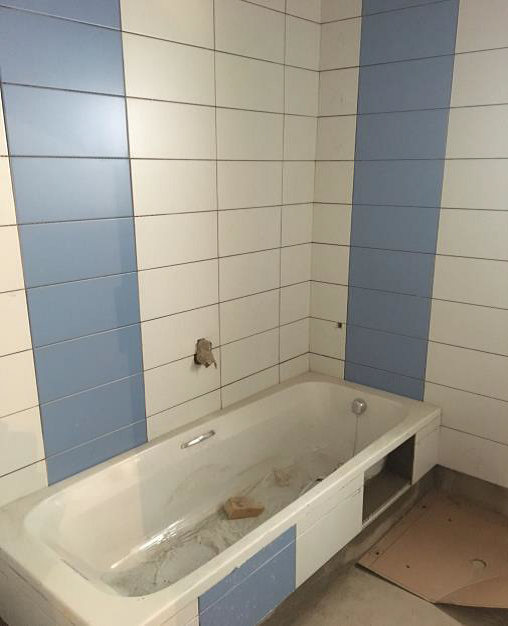 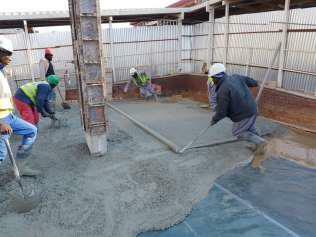 The facility will include sleeping, ablution, laundry and kitchen facilities. 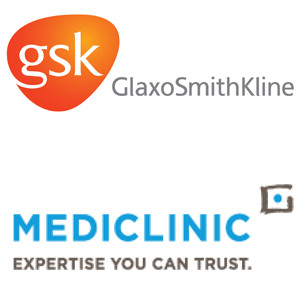 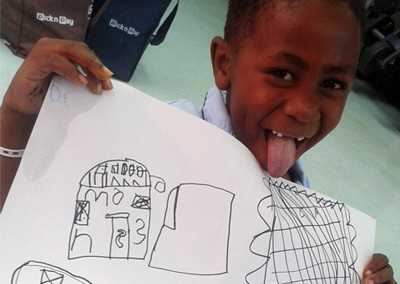 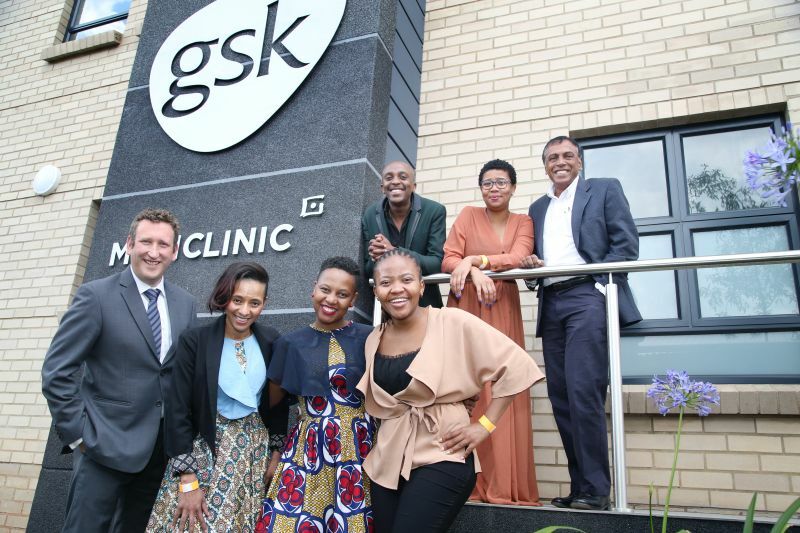 With the generous support of GlaxoSmithKline and Mediclinic we have begun to tackle this project. 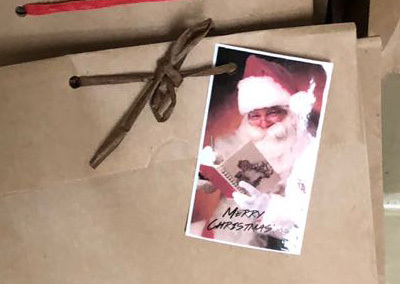 Thank you all for the applications received for the House mother post, unfortunately the post was only for one individual. 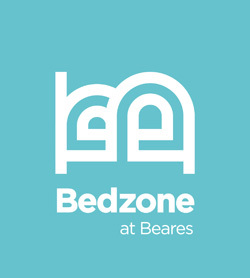 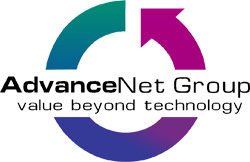 We are happy to announce our second full time employee sponsored by your kind donations. 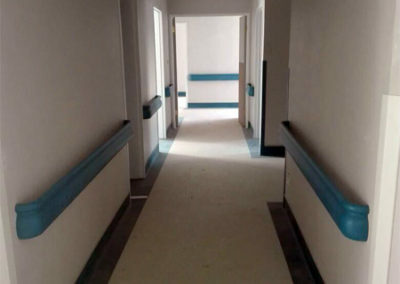 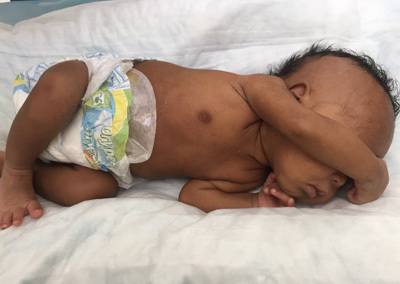 She started on the 19th March 2018, the new Maternal Facility now has a full time mother taking care and ensuring the smooth running of the Facility. 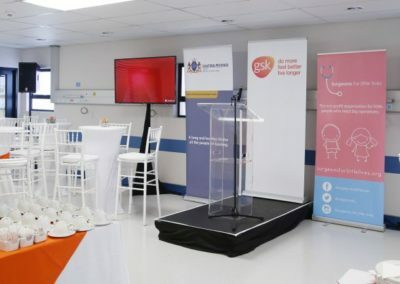 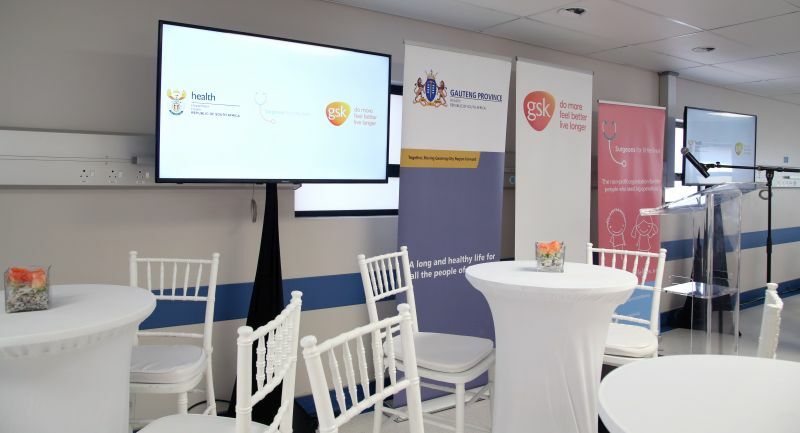 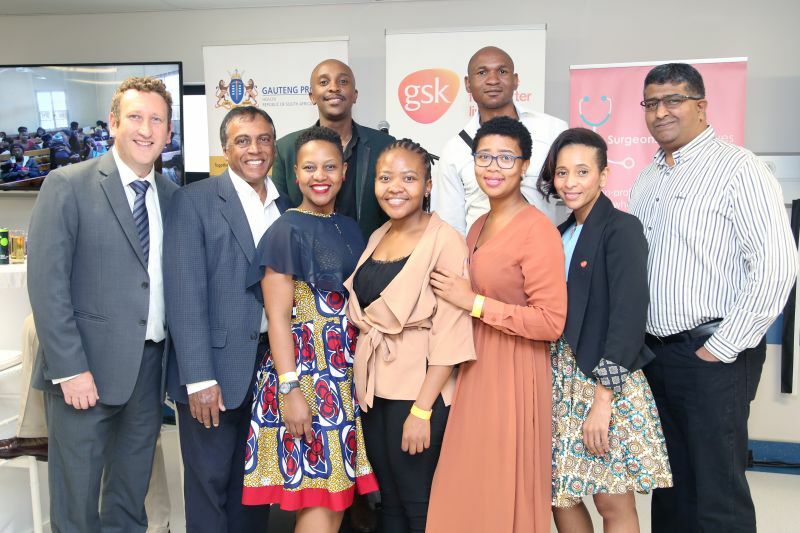 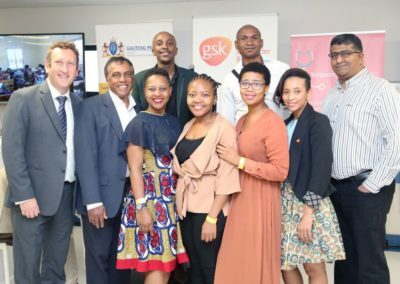 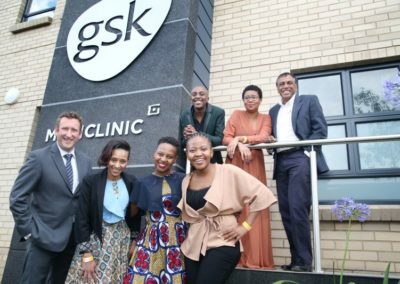 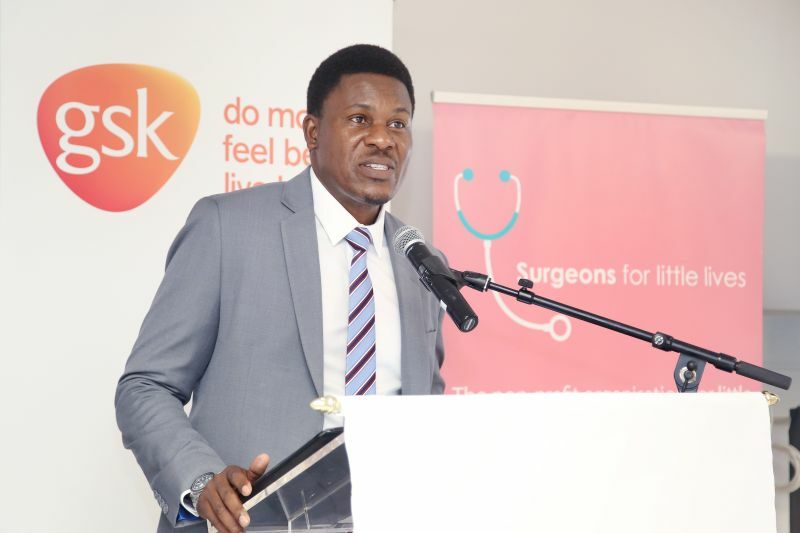 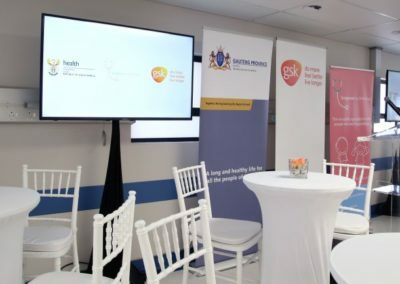 This was made possible by the generous donation from GSK, Mediclinic and Surgeons for little lives in partnership with the Gauteng Dept of health and many others. 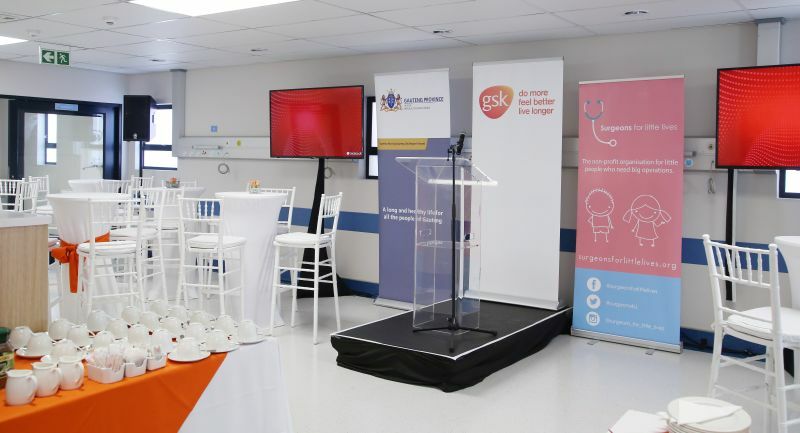 This building will do so much for our little lives and we thank all those who attended our press event – we hope this good news spreads far! 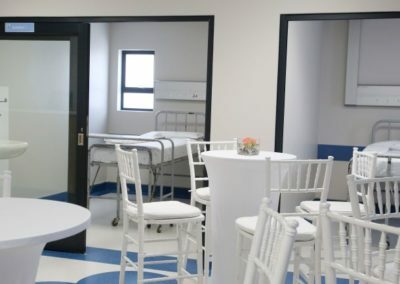 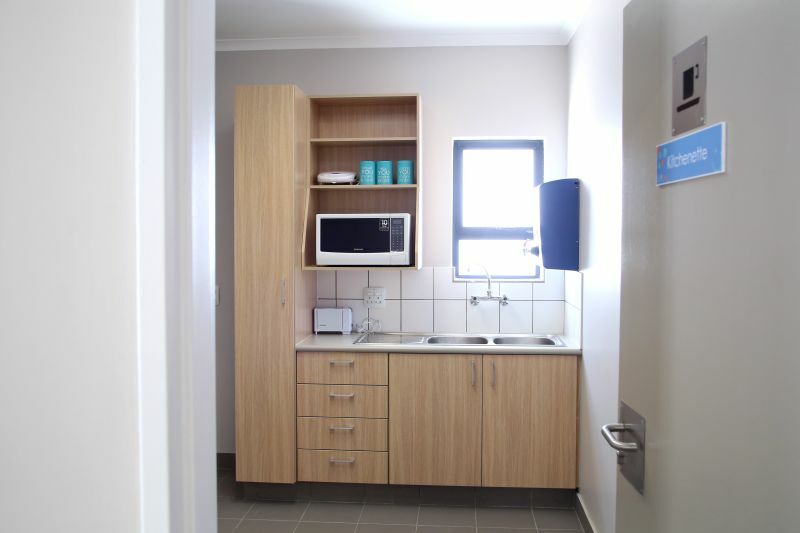 SFLL would like to thank you ever so much for the wonderful donation of fridge, microwave & beds that will be occupying our Maternal Facility inside our newly built building. 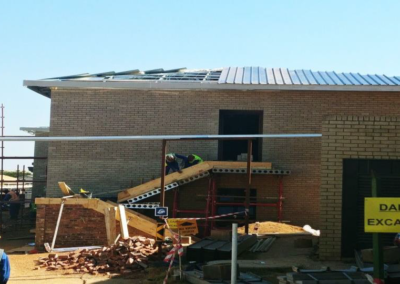 We are just a few weeks away to completion. 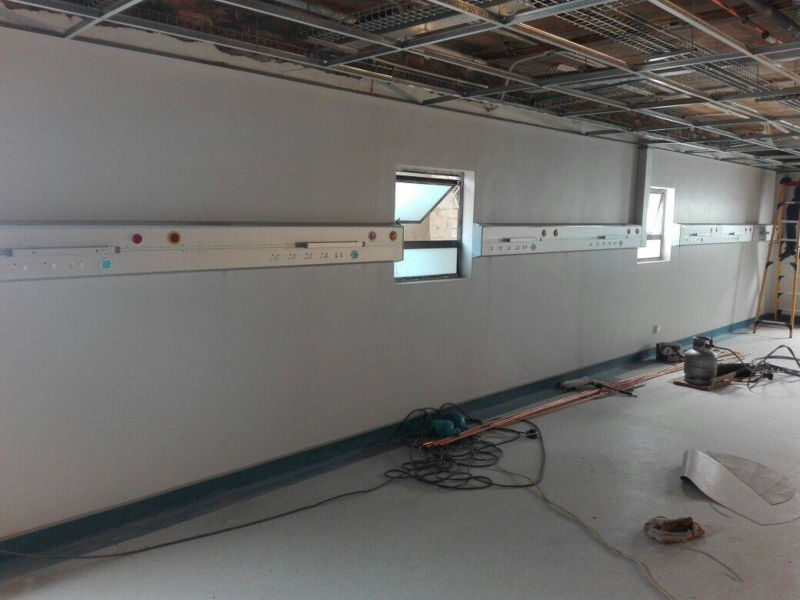 We are just over 70% complete. 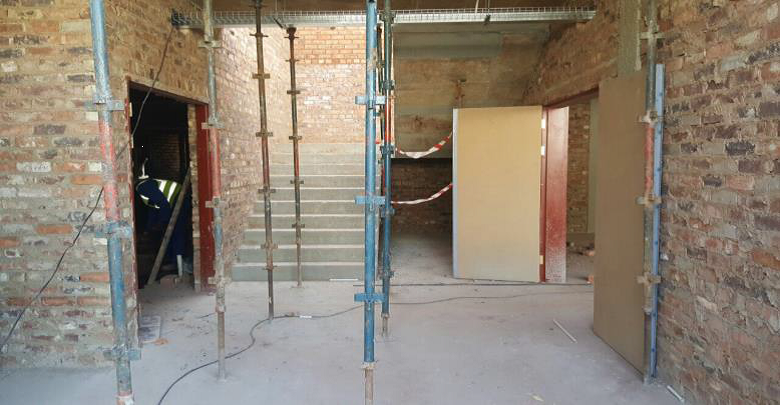 Plaster work done and doors are in. 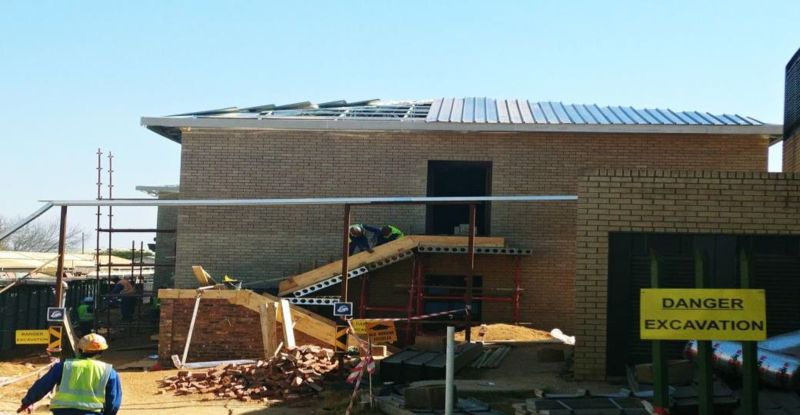 We are still one week ahead of schedule, the building is coming off beautifully. 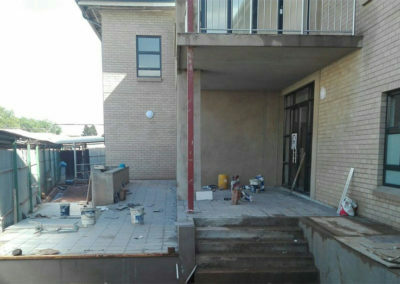 The building is 60% complete, we are now 1 week ahead of schedule. 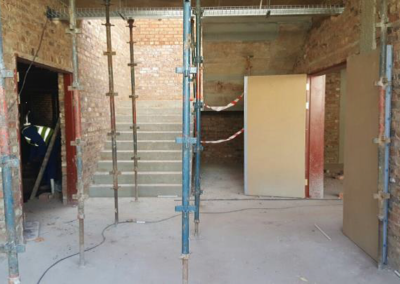 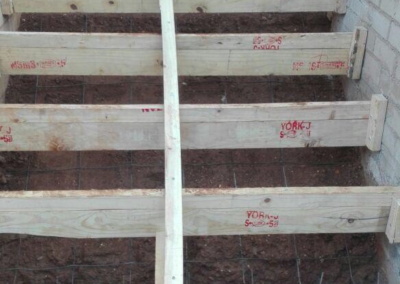 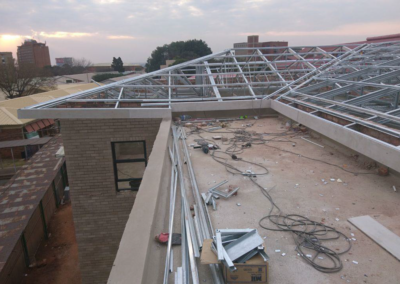 Brick and steelwork has started, building coming beautifully. 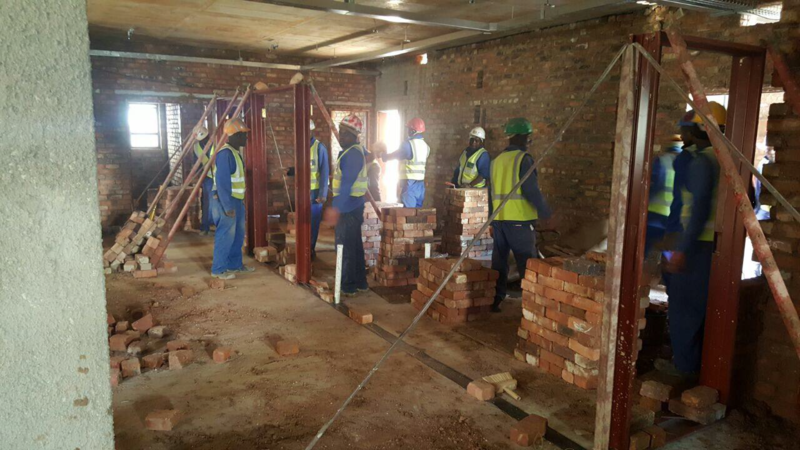 We are still on schedule as per building program. 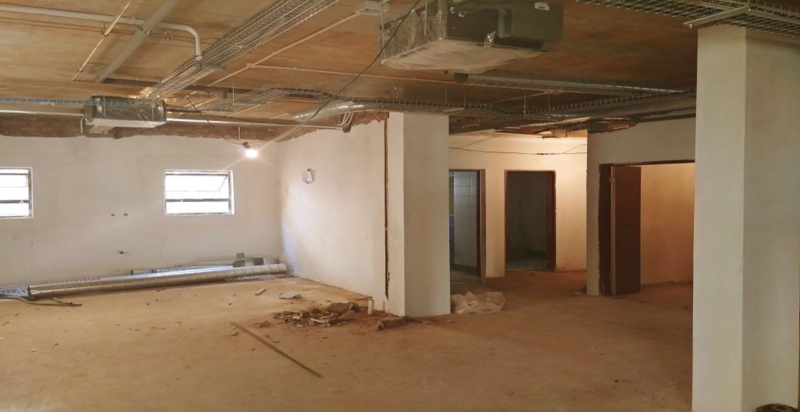 Demolition completed and building to start shortly. 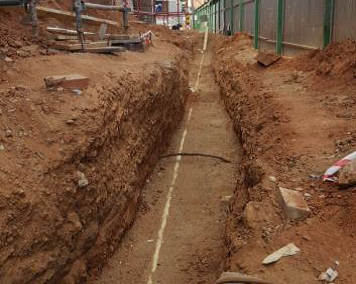 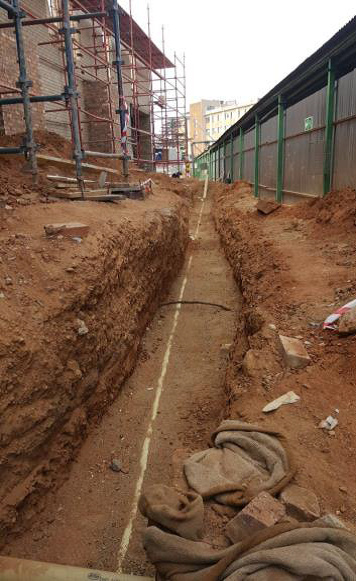 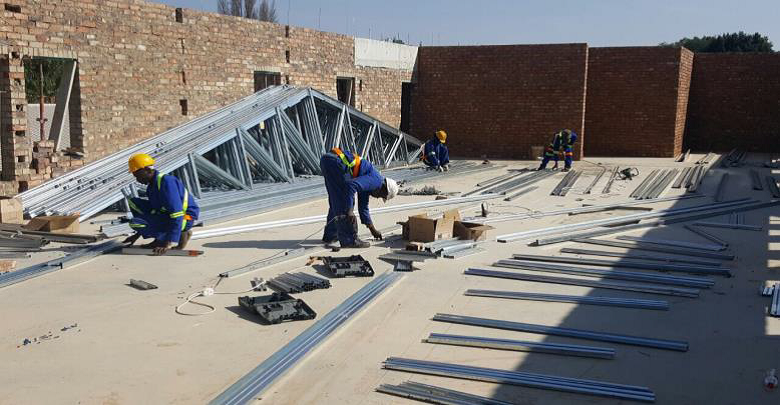 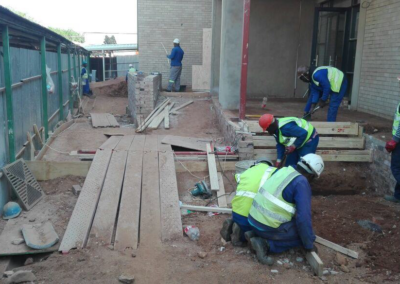 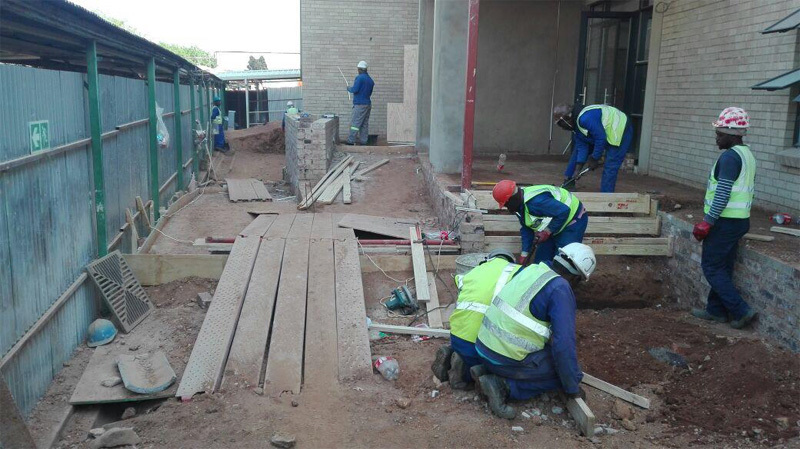 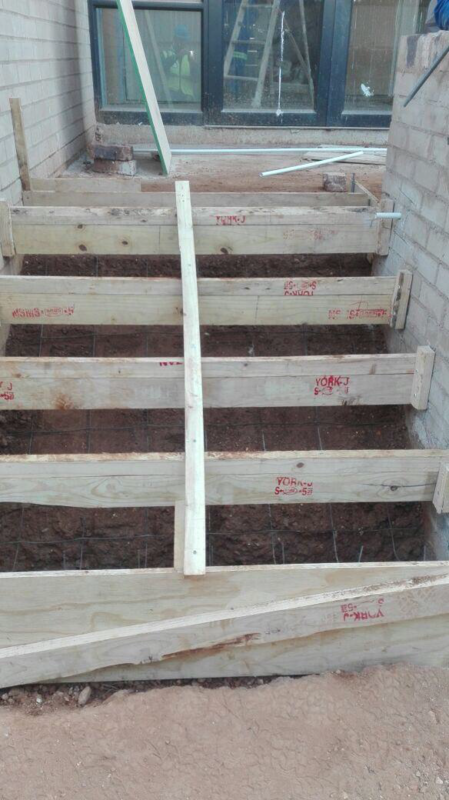 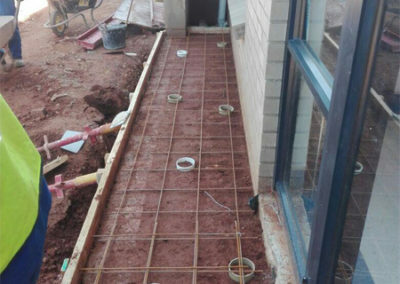 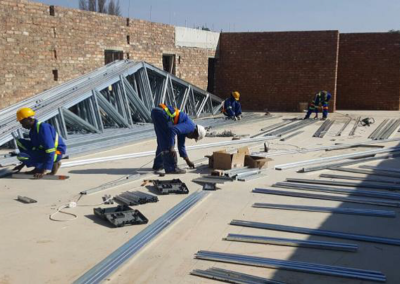 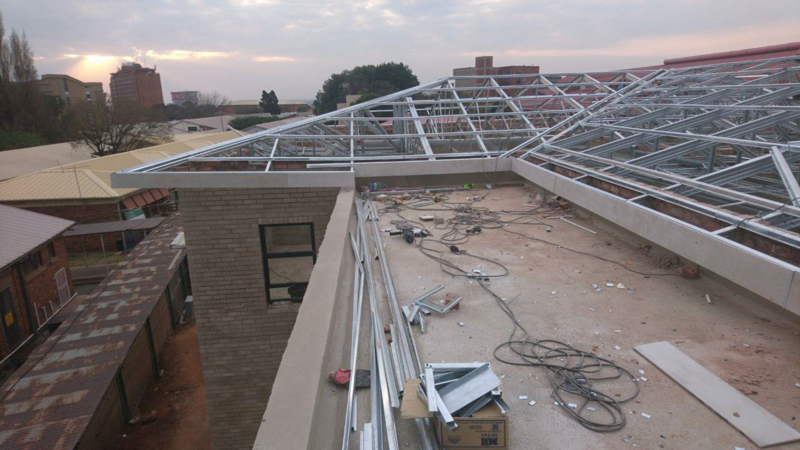 Mediclinic has appointed Mascini Consultants through a tender process to do the construction.